DINAGAT ISLANDS, Philippines – Framed photographs of the Ecleo family accentuate the living room that faces the grand staircase of their "White Castle" in Dinagat Islands. 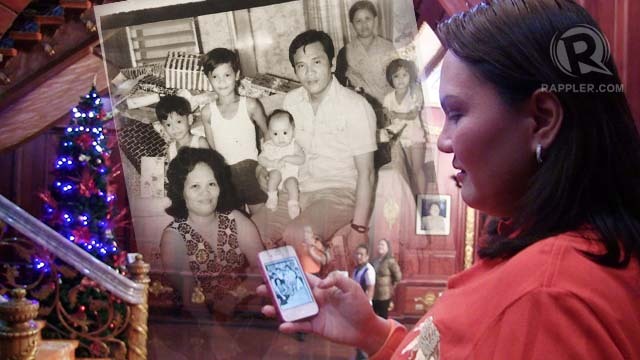 An old complete family photo that includes Jade Ecleo is not among them. And all this is happening just as the dream of the late patriarch, Ruben Ecleo Sr, was being realized: Dinagat Islands has just been converted into a separate province, late last year, from being a mere municipality of Surigao del Norte. In this battle to wrest control of the province from her family, Jade has found a kindred spirit in Akbayan representative Kaka Bag-ao. 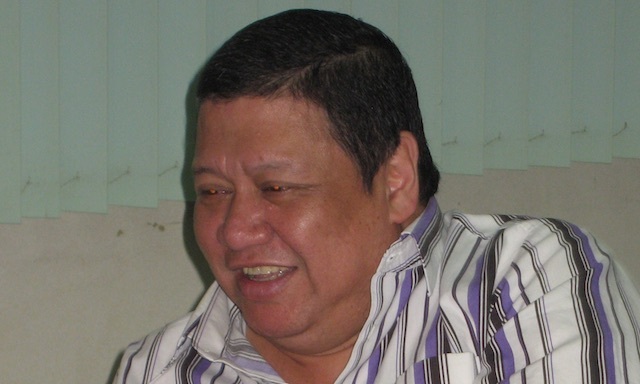 A native of Loreto town, Bag-ao has been asked by the Liberal Party to seek the congressional seat in Dinagat Islands. HAPPY TIMES. An old complete family photo that includes Jade (far right) is not displayed in the Ecleo family's "White Castle." "That's my sister behind my dad - Jade. She's always like that. She feels neglected but she's not," the youngest Ecleo says. Gwendolyn Ecleo, mayor of Dinagat town and now a candidate for congresswoman, said her sister Jade’s ambition sparked the family feud. "There was already an arrangement – my sister will only serve one term [as governor]. My sister had to step down after that. But I don't know why she changed her mind to the point of challenging mama. We are shocked," Gwendolyn said. The family fielded Jade for governor in 2007, a year after the law creating the province of Dinagat Islands was passed. The agreement was, she would serve only one term, to secure the family’s hold on the capitol while her mother was completing a final term as congresswoman. 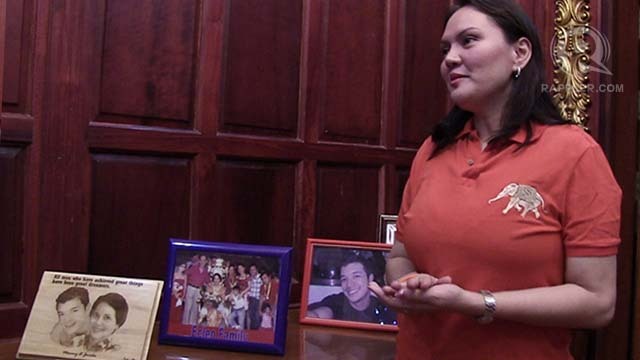 By 2010, Glenda was ready to run for governor, with re-electionist Vice Governor Elvis dela Merced as her running mate. Jade ran for vice governor as an independent, neck and neck against her mother’s candidate. 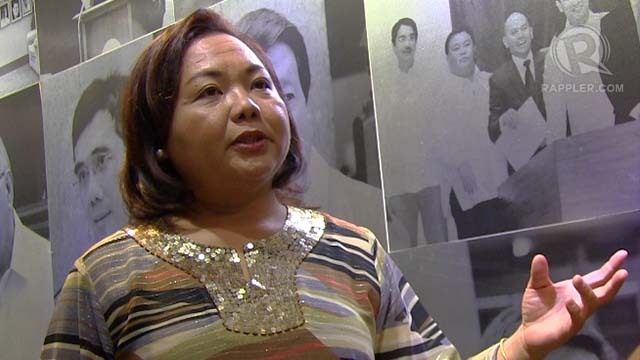 While the Ecleo family campaigned for Dela Merced, Glenda’s son Ruben Ecleo Jr – who had inherited their father’s position as “Supreme Master” of the Philippine Benevolent Missionaries Association (PBMA), and therefore could dictate a bloc vote – sided with Jade in the end. Ruben Jr, then a congressman, reportedly showed his ballot to other voters in the precinct before casting it. He voted for his mother, but dropped her running mate. Glenda and Jade governed the province without talking to each other. The tussle, often messy and bitter, played out in public. Jade said she did not seek re-election as governor in 2010 in deference to her mother. But this time around, she is determined to reclaim it. Like her mother and siblings, Jade would like to pursue the vision of the Ecleo patriarch she heard as a child -- to turn Dinagat Islands into an urban island city like Singapore. It is the legacy she wants her 6-year daughter to inherit when it's her turn to govern Dinagat Islands, Jade said. But what distinguishes Jade from her family is how she intends to exploit the rich mineral resources of Dinagat Isands. She is opposed to mining. She would rather develop tourism and expand agriculture. Jade's family reached out to her – offering to field her in the congressional race – but she did not buckle. "I told them they should convince Mommy to run for Congress instead because it's more relaxed there. To be a governor, the LGU (local government, is hard. Let me work here in the mountains and Mommy in Congress. It will be less harder for her," Jade said. Jade also thought her mother could no longer be an effective governor due to her old age and precarious health condition. "Province na kami. Kailangan ng isang leader na medyo bata-bata na active. Kaya napilitan ako to run against her (We are already a province. We need an active, younger leader. That's why I was forced to run against her)," Jade added. Glenda underwent bypass surgery and has become frail since then. Gwendolyn, echoing the sentiment of her other siblings, is blaming Jade for her mother's condition. "When I saw my mom in a hospital bed, I stopped missing her (Jade)…Well, if my mom will forgive her, maybe…. [but] the damage has been done," Gwen said in mixed Filipino and English. Neither does Jade miss her siblings. 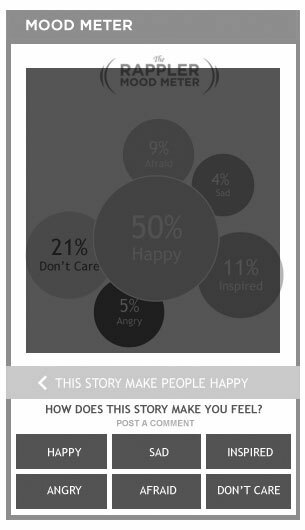 "I no longer want to think about things that aren't helpful. Because I want to stay healthy and beautiful all the time. I want to be happy all the time. But sometimes, tao lang tayo, nalulungkot. (We're only human, we get sad.) I really don’t miss my brothers and sisters, but I miss my mom," the estranged Ecleo said. The loyal followers of the PBMA, which Glenda’s husband founded, believe that her mission was to fulfill Ruben Sr’s vision of making Dinagat Islands a province. They have rallied behind her on this. Glenda authored the law while she was congresswoman, a post she held for 17 years since 1987. Both her supporters and critics consider the creation of the province as her greatest achievement yet. It wasn’t smooth sailing for the Dinagat law. As soon as it was passed in 2006, it was challenged in court by politicians from Surigao del Norte, the province from which it was carved out. The islands, they said, failed to meet the land area and population required for the creation of a province. The Supreme Court changed its decision on the case a number of times. For almost 6 years, Dinagat Islands was alternately considered a province and a component of Surigao del Norte. In September 2012, the high court decisively affirmed the status of Dinagat Islands as a province. On January 21, 2013, Glenda returned to Dinagat Islands after almost a year of absence due to her health condition. She attended the flag-raising ceremony at the provincial capitol – the first time she did since her election. "Nianhi good ko aron ma-celebrate ko (I really came here to celebrate) the greatest performance of my life," said the 75-year old Ecleo matriarch. There was an important announcement that she wanted to personally make to capitol employees and her constituents. Half a year to the end of her current term, the province finally received its first internal revenue allocation (IRA), amounting to P324 million. "I am very happy, and I thank God for showing me the right way. I [have always believed] that there is light at the end of the tunnel," Ecleo told Rappler on a boat ride home across the treacherous Surigao strait two days earlier. Hundreds of PBMA followers greeted her like a superstar when she arrived in Dinagat. She got swarmed by employees as she toured all departments across the capitol, patiently obliging photo requests. But by the time she presided a meeting among unit heads to discuss budget details and other administrative matters, she appeared tired and lost. Her son, vice gubernatorial candidate and former provincial administrator Benglen, never left her side, occasionally whispering to her as though guiding her. Before noon, she went back to the "White Castle." 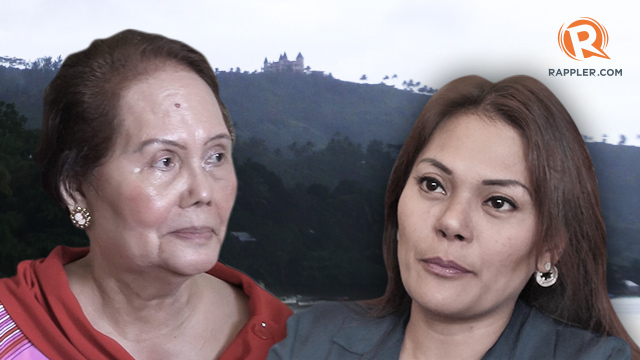 In the year that Governor Glenda was away, it was Jade who ran the capitol, with much uncertainty over what IRA share it was supposed to receive – as a municipality of Surigao del Norte or as a separate province? "My savings as governor and local collection sustained funding for paying salaries [of capitol employees] for the whole of 2011. This year, I personally collected taxes from mining companies because others would not pay if you didn't press or force them," Vice Governor Jade said. 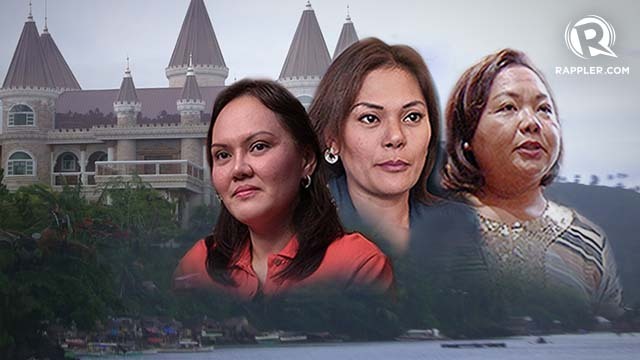 While waiting for the final Supreme Court decision on its status, Dinagat Islands was cash-trapped, failing to pay the salaries of its 300 employees for 4 months. The provincial government failed to remit Government Service Insurance System (GSIS), Pag-big Fund, and other contributions. The vice governor even engaged in a hair-pulling fight with the budget officer of its mother province, Surigao del Norte, in 2012, reportedly over funds for Dinagat Islands' district hospitals whose employees worked without pay for nearly a year. LOYAL DAUGHTER, LOYAL FAN. Gwen giggles as she shares how she and her mother idolize actor Jericho Rosales. Two of the actor's photos are displayed in the "White Castle." Jade's rather feisty attitude may have disappointed her family, but it endeared her to many of her constituents. Many Dinagatnons observe Jade got the heart and charisma of her late father, their spiritual and political leader. "I am the daughter of my father. I’m proud to be the daughter of Ruben Sr. Nobody can take that away from me. But kung sasabihin nila na parepareho lang yan, Ecleo din yan, to those who believe, tingnan lang nila kung pareho nga kami (But if people will say, ‘Yhey're all the same, she's also an Ecleo,’ to those who believe, look closely if we are indeed the same)," Jade said. A performer with the moniker "Star of Dinagat," Jade moves people to tears when she speaks or when she sings. That she lives in a bungalow by the sea sets her apart from her mother and siblings, she added. Jade believed that her fight with her family is essentially a "clash of principles." 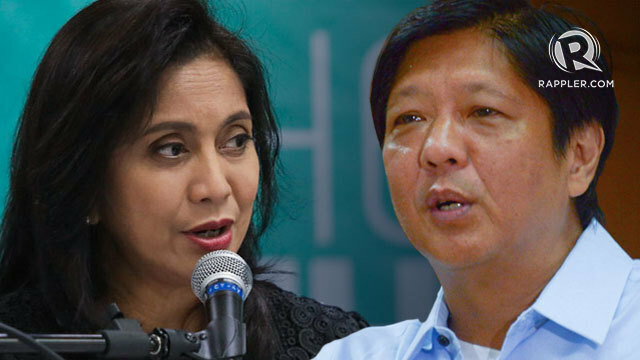 One of the reported reasons for the family feud was their disagreement over the payment of lawyers' success fee after the Ecleos won the court battle over the creation of the province. According to Jade, she went against her family's will to pay their lawyers P10 million instead of P2.5 million as previously agreed. "I was the one who signed the contract. It was P 2.5 million. That’s why when they raised [it] to P10 million, I said it’s a lie. I was the respondent, not my mommy, because I was the governor that time when the case was filed," Jade said. "It’s against the law to deduct from the salaries of the employees. Majority of the employees confronted me: 'Gov, ikaw lang 'yung pag-asa namin. Ayaw namin mabawasan sa suweldo namin (You're our only hope. We don't want to deduct the amount from our salaries,'" Jade added. Jade also said she is opposing PBMA's excessive collection from its members. "They always collect money from PBMA members, supposedly for some project, activity, lawyer's fees. I'm against it. Not all PBMA members can afford to pay," she said. Although she said she remained a PBMA member, Jade claimed she has upheld the separation between PBMA affairs and governance. Jade found and ally in Akbayan Rep Kaka Bag-ao, the opponent of her sister Gwendolyn in the congressional race. Bag-ao spent her early childhood in Loreto, a town which is not controlled by the Ecleos. She studied law in Manila and became a Mindanao-based human rights lawyer before she became an Akbayan representative. After Akbayan denied her the nomination for a second term, the House leadership and allies from the Liberal Party, including Jade, encouraged her to serve as the caretaker of Dinagat Islands. Bag-ao took the seat of Ruben Ecleo Jr, who was dropped from the House roll after being convicted for parricide and graft. Jade instantly found affinity with Bag-ao, a human rights lawyer who worked with farmers before she joined Congress. "Kaka and are like more than sisters. And nakita ko kay Kaka, na hindi siya gutom sa power. Pareho kami ng prinsipyo. Gusto lang naming tumulong at magserbisyo (I could see that Kaka is not hungry for power. We share the same principles. We only want to help and serve)," Jade said. The race will test a mother's resilience and a daughter's defiance. The survival of a new province is caught in between.